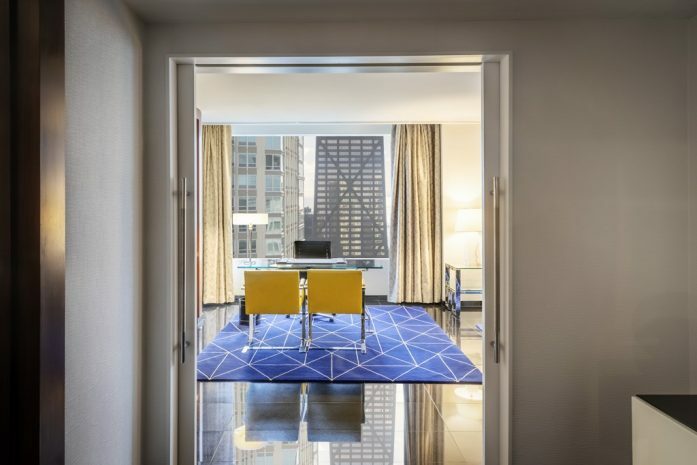 On the 32nd floor of Sofitel Chicago Magnificent Mile, the stylishly renovated five-room Presidential Suite exceeds expectations for travel luxury. 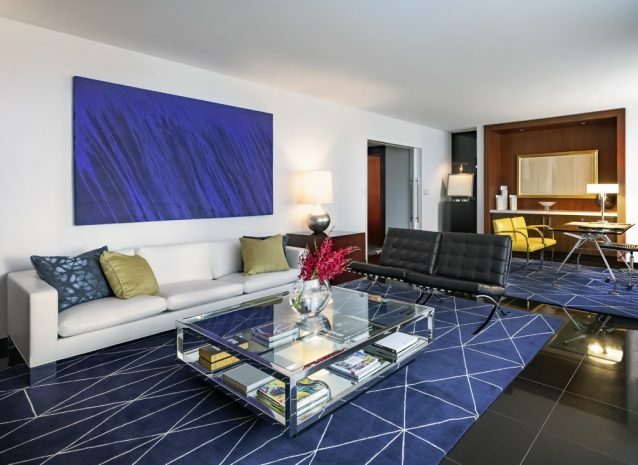 Reminiscent of a fashionable urban penthouse, the Presidential Suite designed by Paris-based architects and designers has been known to serve as a private enclave for visiting celebrities and dignitaries. 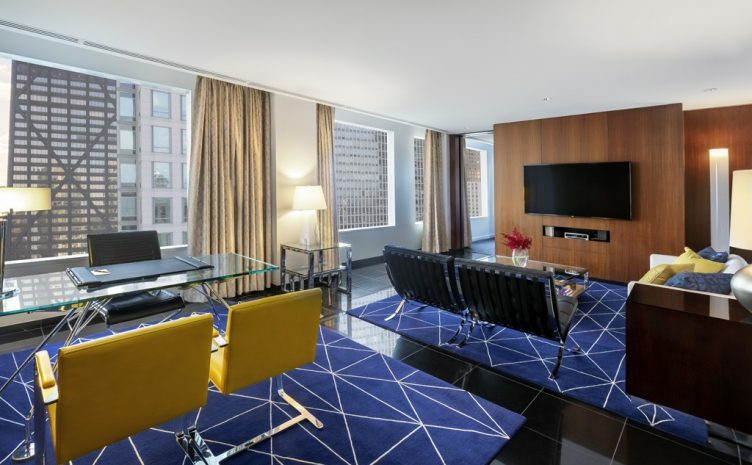 Floor-to-ceiling windows offer panoramic views of the downtown Chicago skyline and Lake Michigan. Regal navy blue paired with bright yellow and gray accents offers a refined color pallete. 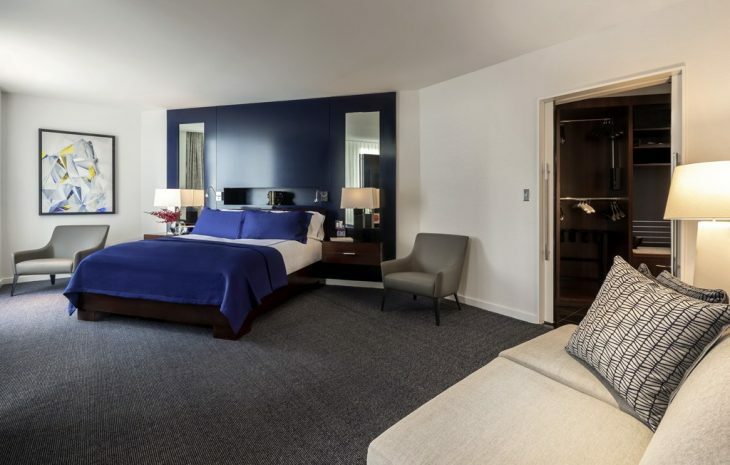 In the bedroom, the greenhouse design floods the room with natural light, and the king size feather bed is buried under a cascade of crisp Frette linens. 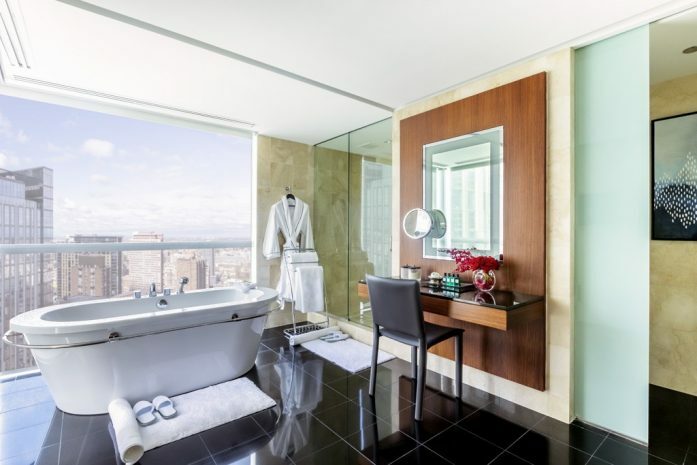 The master bathroom features a Hoesch tub tucked against a wall of windows, providing the illusion that one is floating above the city. 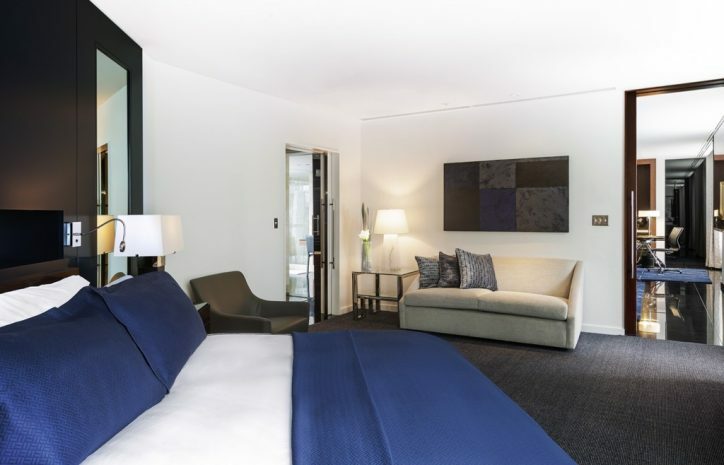 Plush Frette towels and Hermès luxury bath amenities add a final finishing touch to the opulent surroundings. This iconic suite offers a unique and unforgettable experience.